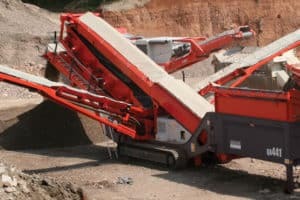 The Powerscreen® Chieftain 1400 is one of Powerscreen's most popular screening products and is ideally suited for small to medium sized operators and contractors who require a versatile product capable of operating in a number of applications such as sand and gravel, aggregates and recycling.User benefits include hydraulic folding conveyors for a quick set-up time, screen walkways and access ladders for ease of maintenance, and a drop down tail conveyor to aid screen media changes. 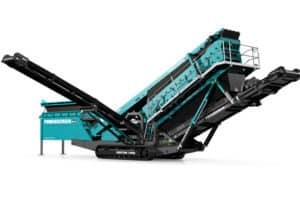 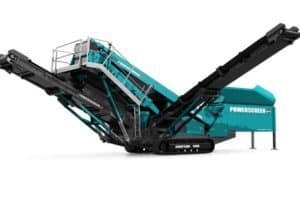 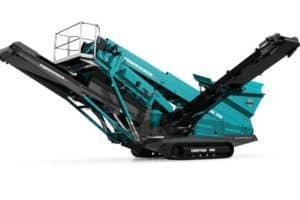 The Powerscreen® Chieftain 1700 / Chieftain 1700S is a mid-sized track mobile screen aimed at end users requiring high volumes of finished products in applications including topsoil, coal, crushed stone, recycling, iron ore, sand and gravel. 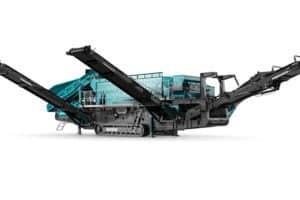 User benefits include a quick set-up time, drop down tail conveyor and screen mesh access system to aid screen media changes and a transverse powerunit arrangement to simplify servicing. 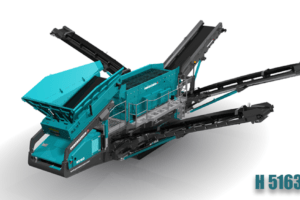 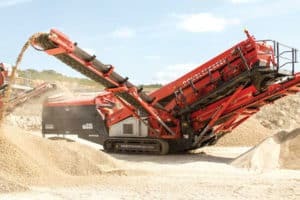 The Commander 1400 is a cost efficient mobile scalping and screening unit used extensively to screen material such as Sand & Gravel, Coal and Topsoil. 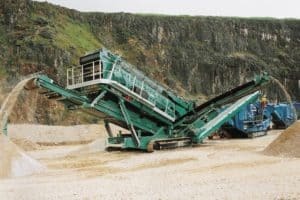 Stockpiling conveyors can be added to the unit and driven either by the Commander 1400 (standard feature) or self powered. 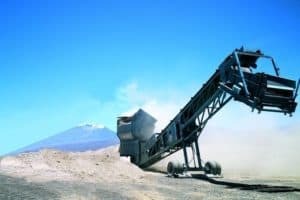 The adjustable elliptical throw combines linear and circular amplitude producing an aggressive screening action. 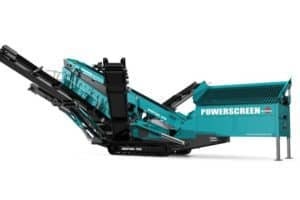 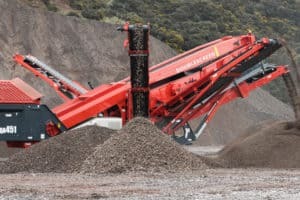 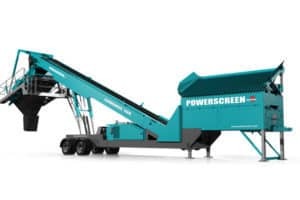 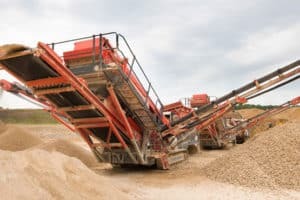 Powerscreen products are especially effective for scalping after a primary impact or jaw crusher and really have outstanding performance when screening out specific small sizes.